SARATOGA SPRINGS, Utah - The family of a 22-year-old black man who was fatally shot by police in Utah is disputing investigators' statements that he was shot after he lunged at officers with a sword and that race played no role in the shooting. Randall Edwards, an attorney for the family of Darrien Hunt, said an independent autopsy requested by the family shows Hunt was shot "numerous times, all from the rear" last Wednesday in Saratoga Springs, about 35 miles south of Salt Lake City. "This is consistent with statements made by witnesses on the scene, who report that Darrien was shot to death while running away from police," Edwards said in a statement released Saturday night. "It would appear difficult, if not impossible, to reconcile these facts with a story that Darrien was lunging toward the officers when he was shot." Police say they were called Wednesday morning to investigate a "suspicious" man walking near businesses while carrying a "samurai-type sword." Utah County Chief Deputy Attorney Tim Taylor did not immediately return phone calls Sunday. But Taylor, in a brief statement issued Saturday, said: "When the officers made contact with Mr. Hunt, he brandished the sword and lunged toward the officers with the sword, at which time Mr. Hunt was shot. There is currently no indication that race played any role in the confrontation between Mr. Hunt and the police officers." 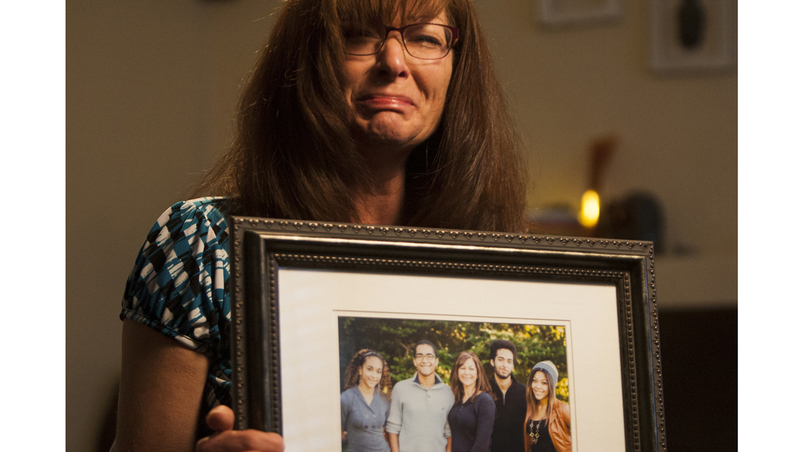 Hunt's mother, Susan Hunt, told the Deseret News she believes her son would not have been shot had he been white. She is white and Hunt's his father is black. She said her son was carrying a 3-foot souvenir sword bought at an Asian gift store that has a rounded edge, not a blade. Family members considered it a "toy" sword. "No white boy with a little sword would they shoot while he's running away," she said. Cindy Moss, Darrien Hunt's aunt, said she has tended not to believe stories by her sister's family about mistreatment of blacks in today's world. But her view has changed as the family has tried to figure out what led up to the shooting, she said. "It's difficult to make any sense out of the situation any other way (than race)," Moss, who is white, told The Salt Lake Tribune. "The police make it sound like it was a big sword he was wielding. I'm offended that they even say he was armed with a weapon." Saratoga Springs police, in a brief statement Friday, said claims that its officers' actions were a result of Hunt's race are "completely unfounded and speculative. Our officers responded to a call for service and addressed the situation that was presented to them." The shooting remains under investigation by authorities. Saratoga Springs is home to Mia Love, who is vying to become the first black Republican woman ever elected to Congress. She served as mayor of the city of 27,000 people from 2010 to early this year.